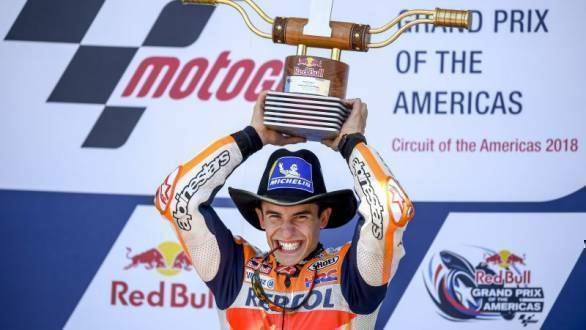 Defending world champion, Marc Marquez claimed a sixth victory at the Circuit of the Americas, managing to maintain his record of being unbeaten at the track. 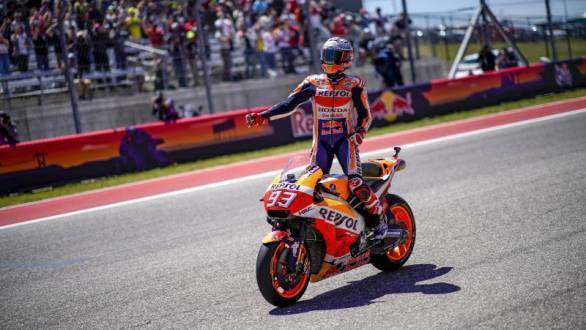 The Repsol Honda rider started the race fourth on the grid, having incurred a three-place grid penalty after he set the fastest lap in qualifying on Saturday. The penalty was a result of blocking Pol Espargaro during qualifying. When the race started, Marquez took the lead early on, and except for one attempt to get past him, that was made by Andrea Iannone of Suzuki, he was never really threatened. Eventually, he'd win the race with an advantage of 3.5 seconds over Yamaha's Maverick Vinales. For Vinales, it was his return to the podium after a long time, and his first visit to the rostrum in the 2018 season. Iannone managed to finish third, taking his first podium for Suzuki. Fourth place went to Valentino Rossi, while fifth place went to Andrea Dovizioso. It was a spirited battle that he had with Monster Yamaha Tech3's Johann Marco who had to settle for sixth place. The move also meant that Dovi is now back in the lead of the world championship standings, with Cal Crutchlow's fall resulting in him losing top spot. Dani Pedrosa ended the race seventh on his Repsol Honda, riding with a fractured wrist after his fall in Argentina. Tito Rabat ended the race eighth for Reale Avintia Ducati, while Jack Miller finished ninth. Tenth place went to Aleix Esparagaro.